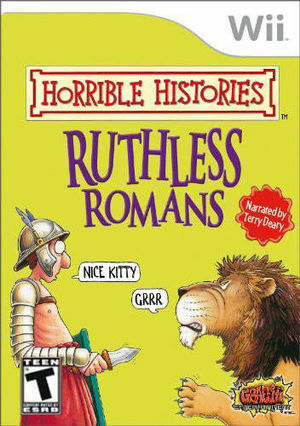 Horrible Histories: The Ruthless Romans, a fun party game based on the hugely popular children's books by Terry Deary. You take on the role of a young Gladiator making his way to the Coliseum. Learn fighting techniques and explore ancient Rome as you go. Each mini-game has a learning aspect and is set in an entertaining, enjoyable and exciting world. The graph below charts the compatibility with Horrible Histories: Ruthless Romans since Dolphin's 2.0 release, listing revisions only where a compatibility change occurred. This page was last edited on 11 January 2018, at 12:17.